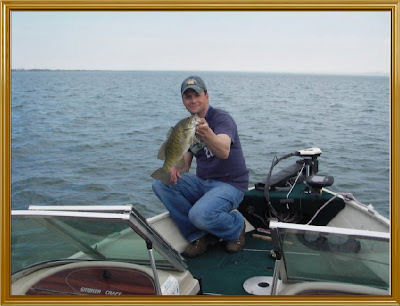 A Bass Angler's Log For The Lake Erie Watershed And Surrounding Area! If you were only allowed to fish for (out of these choices) one kind of species, which one would you choose? Blake with his new big boy fishin' rod! 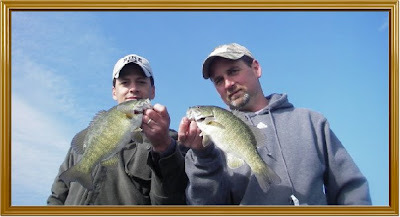 Click Here For A Ton Of Fishing Pics!! 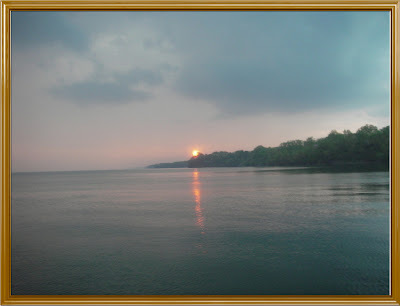 Click on this pic to protect your waterways! 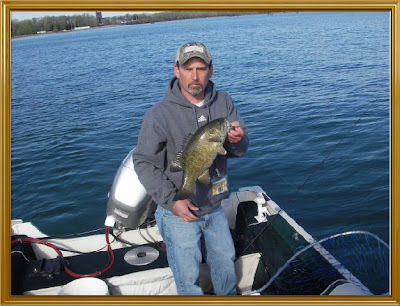 Click here for fishing maps of Lake Erie and it's tribs! Click here for everything you need to know about color selection! Click here for current Lake Erie's water temps! I have been fishing my entire life and consider it my true passion. My mother and father are to blame for this addiction, as they are the ones that started it all. Growing up in Texas, we logged many hours on the beaches, lakes, or anywhere else we could find water. 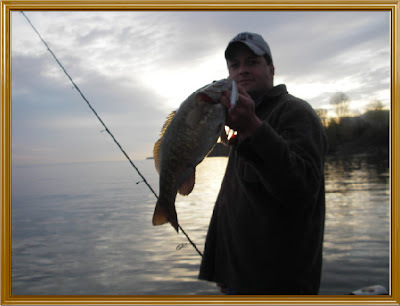 I live in Erie, PA and enjoy fishing for Bass, Walleye, Pike, Musky, Steelhead, Perch or anything that swims. I can't wait until my boys get old enough to go start fishing! I've been married to my beautiful wife for 9 Years and have two wonderful boys, ages 3 and 2. The main reason I started this blog is not only help some anglers out with some ideas, but also as a way to look back in the past as a reminder of those basic things we often forget about! Hey guys and gals, I haven't vanished...I'm still here! I've received a bunch of emails wondering why I haven't posted. We'll, I've been extremely busy fishing! I'll post a report in the next feww days for the entire month of May! Now I have to go get my rod bent! 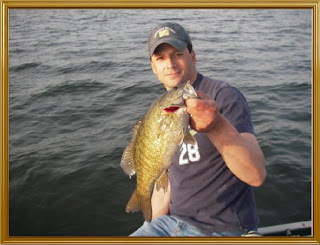 You know for a fact when you don't even think about taking a pic of a smallmouth unless it's 5-6 lbs, you are truly spoiled by an incredible fishery. The fishing has been outstanding for these last few weeks. It's been easy as anything I've ever done in regards to catching fish. I fished solo today and probably caught upwards of 70-80 fish. Not any large ones, but really nice healthy fish 2-3 lbs. I even caught 2 on topwater early in the morning which was a BLAST! Anyway, it was another great day on the lake! 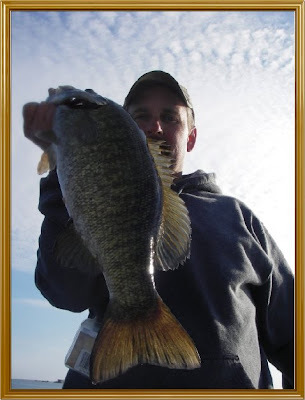 Damn I LOVE smallmouth!!! NOTES...Water temps held at 55, but Im sure have dropped a couple of degrees. Winds were gusting to 20 with pre-front rain off and on. Caught fish in water from 3-15 feet. X-raps were the baits of choice! Nothing changed as far as the fishing since yesterday. 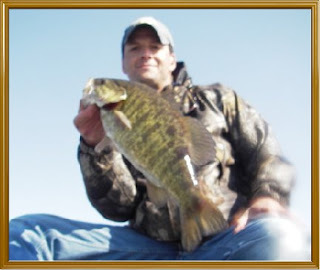 The smallmouth are completely on fire right now and the fishing is just plain crazy. 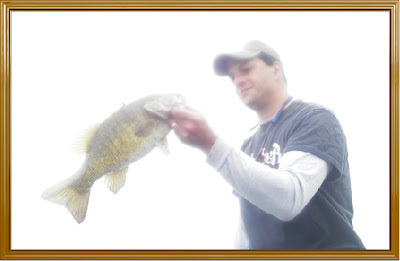 My wrist are so sore from working jerkbaits for the last two days and catching over 100 smallmouth myself. 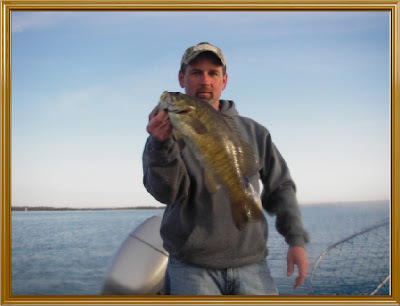 Here's some pics of the smallmouth madness!!! NOTES: Conditions were Sunny to partly cloudy with a lighter southwest wind than yesterday. NOTES: Rain was off and on most of the morning. Fish were scattered and feeding on Emeralds. Started out this morning at sunrise! Surprisingly enough, there weren't that many anglers out today. We started fishing ledges that went from 3 to 10 feet. Throwing spoons we managed a few smallmouth and largemouth. 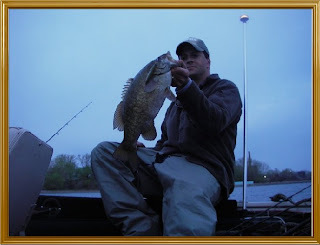 Average size fish, but they were a blast and a welcome change from our cold water fishing these last few months. We fished tis pattern for a few hours before deciding to head to the lake. 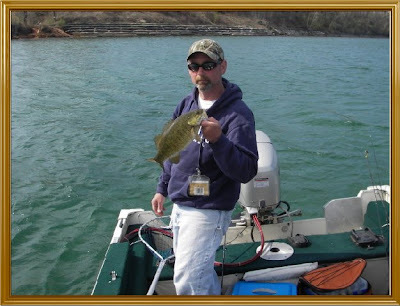 We fished a rocky shoreline in about 6-8 FOW. 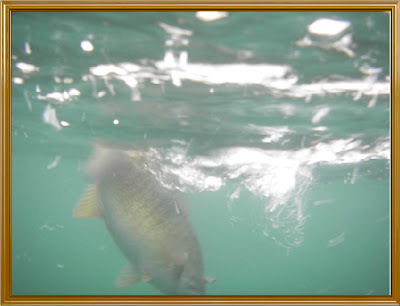 The winds were perfect for a shoreline drift so we started drifting along throwing jerkbaits. It wasn't long before I had a fish on. Everything was great for about 2 hours until the wind shifted out of the North/Northeast. This completely shut off the bite. We grinded it out until we had had enough.We headed back to the bay to fish the area that gave us a tons of bites in the morning, but things seemed to have stoped there, too. By this time Brent had to head home so I dropped him off at the ramp and headed out again. Went over in front of Marina Lake and stuck one in about an hour. Decided maybe things were back to normal with our lake bite so I headed back there. Drifted for about an hour and was only bit once. By this time I was getting pretty tired so I headed back in. But not before I tried one last time to fish a small ledge that went from 3 to 7 feet. Man am I glad I did. It was literally bite after bite on jerkbaits. Every drift Id catch between 5 and 10 fish. Most were "cookie cutter" fish in the 2 lb range, but they were a blast. After about 6 PM I had enough. Back was sore, and I was getting hungry. Total catch? well, you probably wouldn't believe me if I told you so I'll keep my mouth shut about that. To the guy in the pontoon boat.....I forgot your name, but it was nice meeting you, my friend! I'm glad you stuck a few out there, too. Winds...Southeast at 5-10, switching to North/Northeast 5-15. NOTES: Fish were ambushing bait schools on ledges in the bay. The lake bite was good until the wind changed on us. Jerkbait pattern held all day. 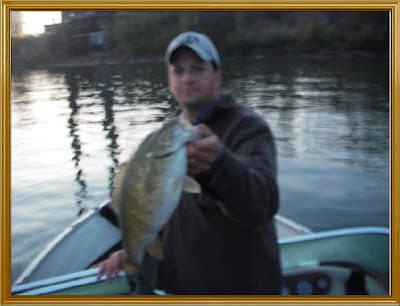 If you liked my blog or you have a question that I may be able to help you out with in regards to bass fishing in Erie, don't hesitate sending me an email. You can email me by clicking on my profile, and you'll see the link. It goes right to my phone so I get it quickly. Also, if you have something to share, please do so.